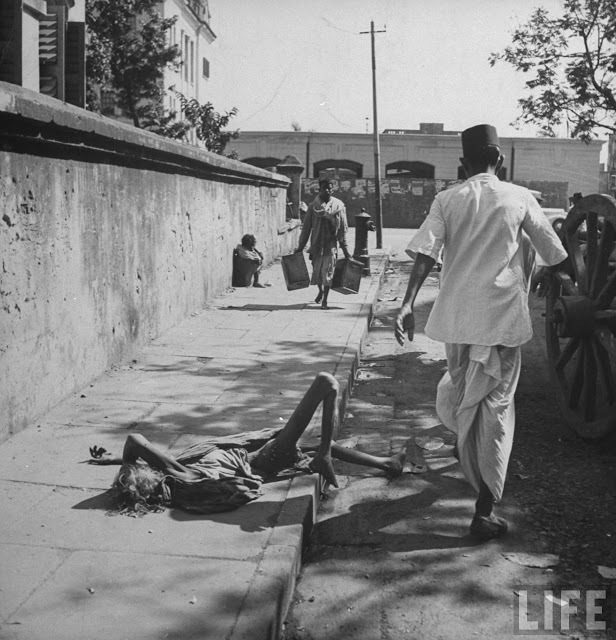 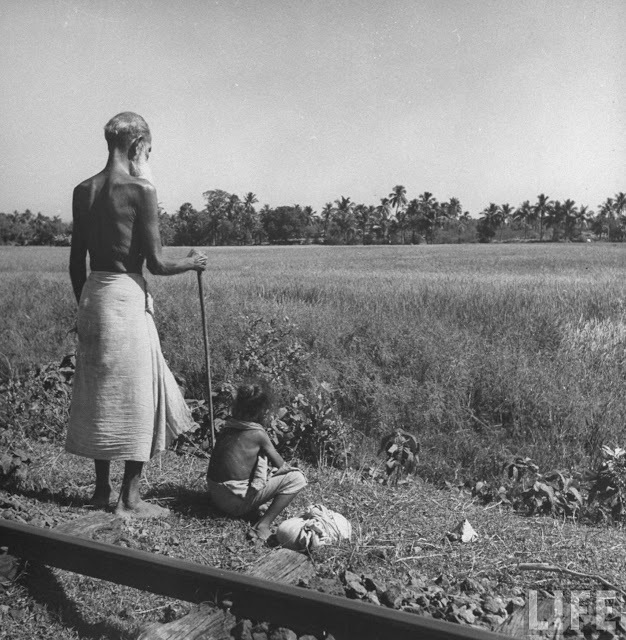 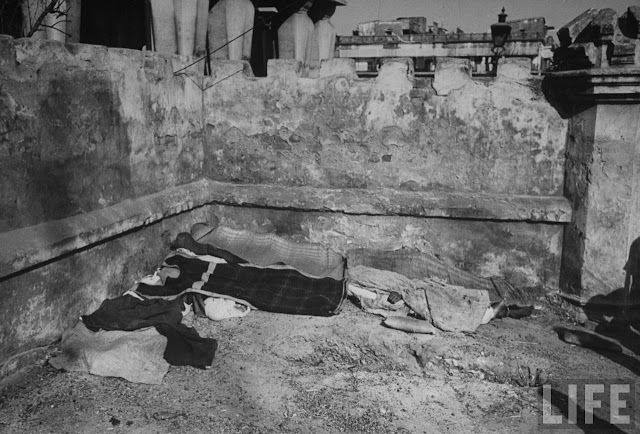 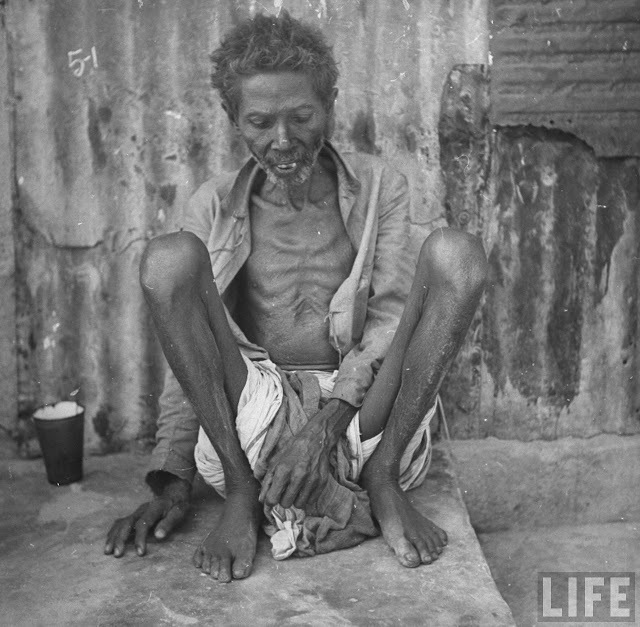 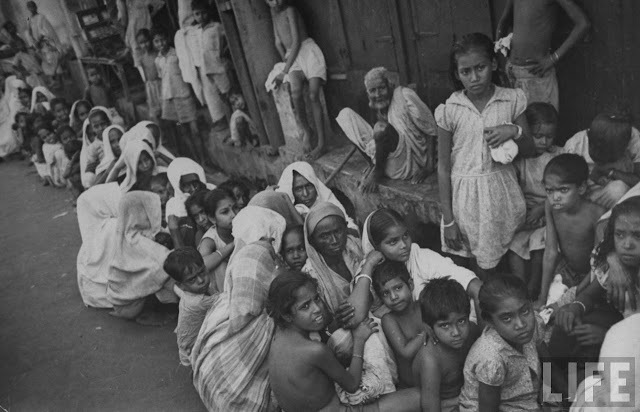 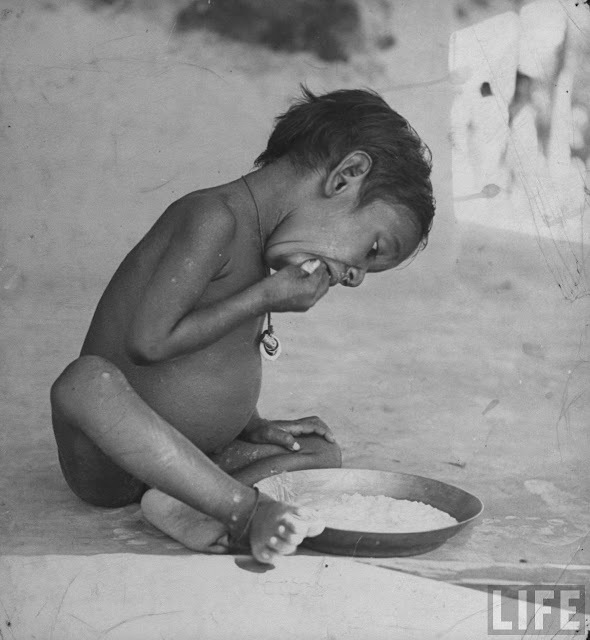 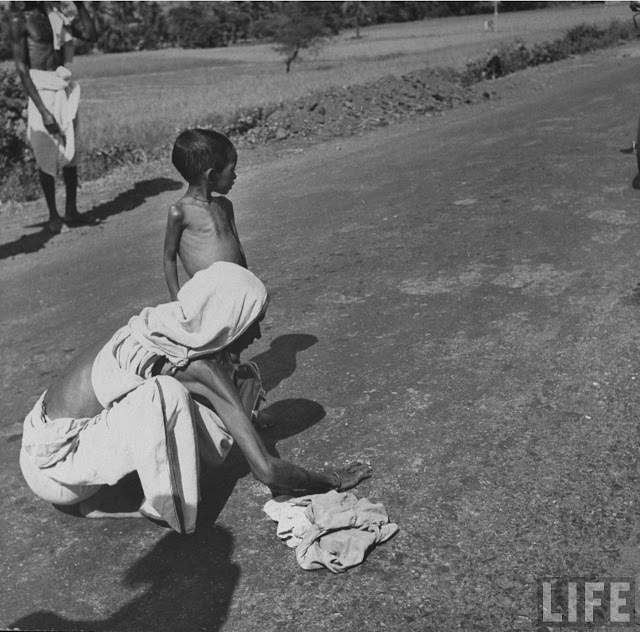 The Bengal famine of 1943 (তেতাল্লিশের মণ্বন্তর) occurred in undivided Bengal (now independent Bangladesh and the Indian state of West Bengal) in 1943. 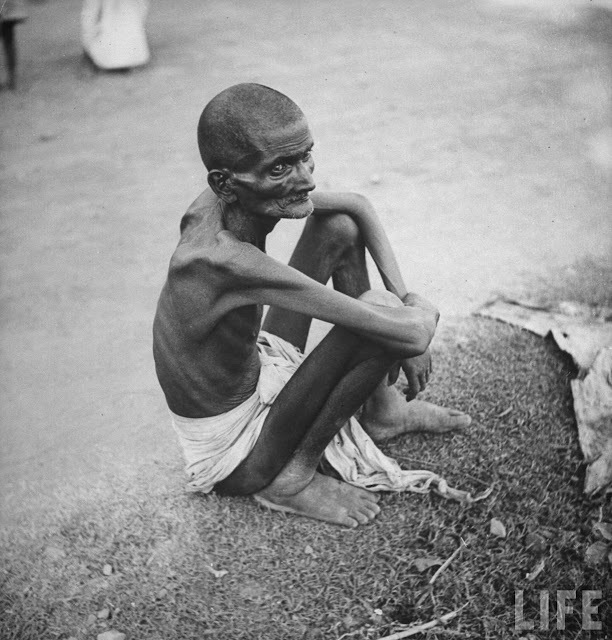 It is estimated that over three million people died from starvation, malnutrition and related illnesses during the famine. 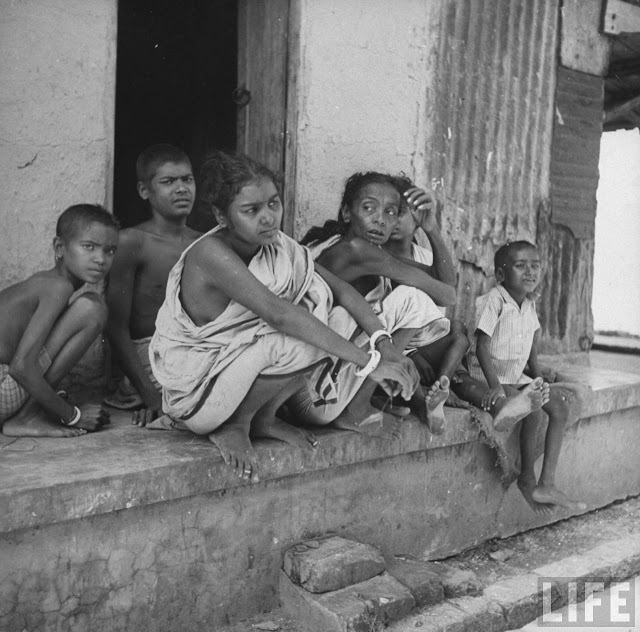 This photographs are taken from Life archive hosted by Google. 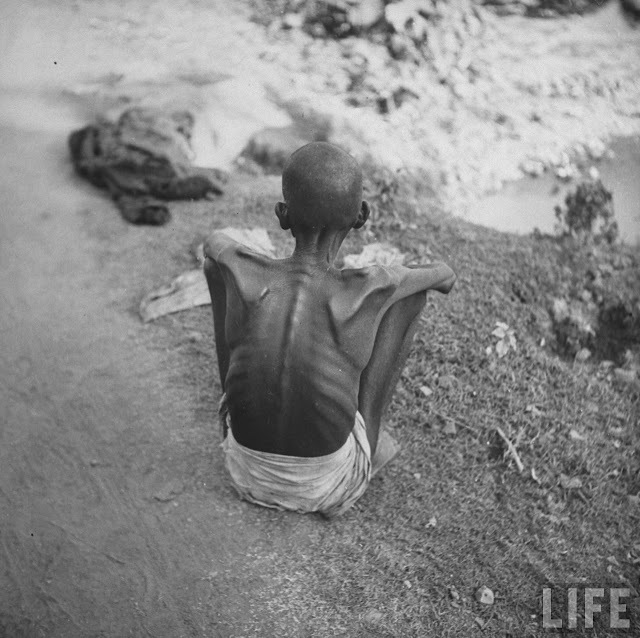 The photographer was William Vandivert. 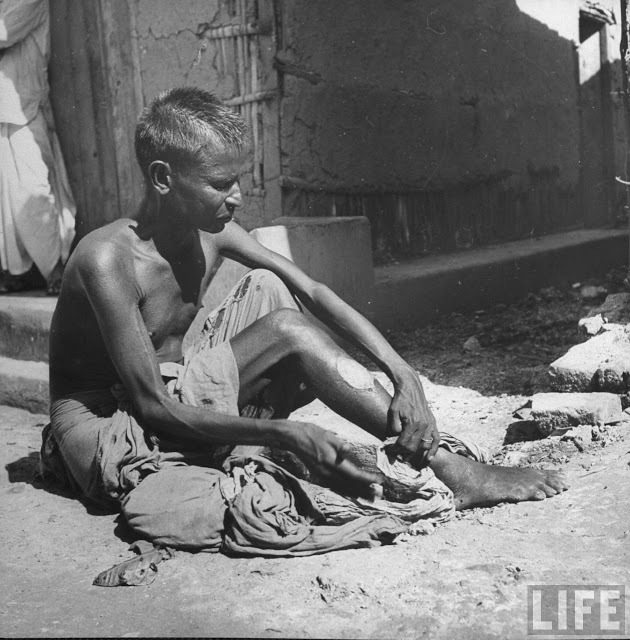 See the true face of British Raj and how they governed India at the end of their reign. 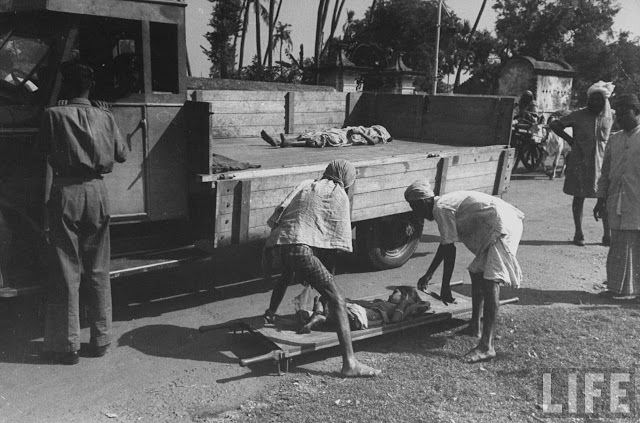 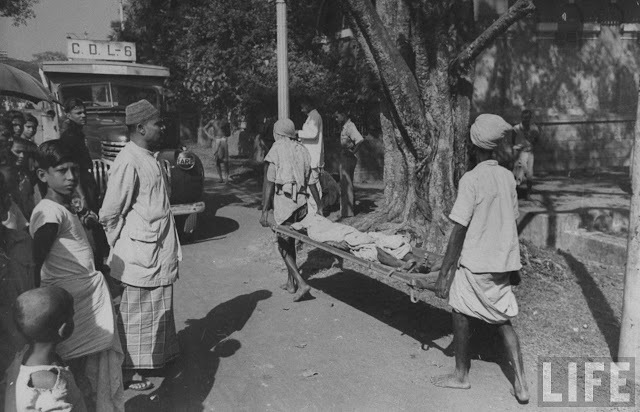 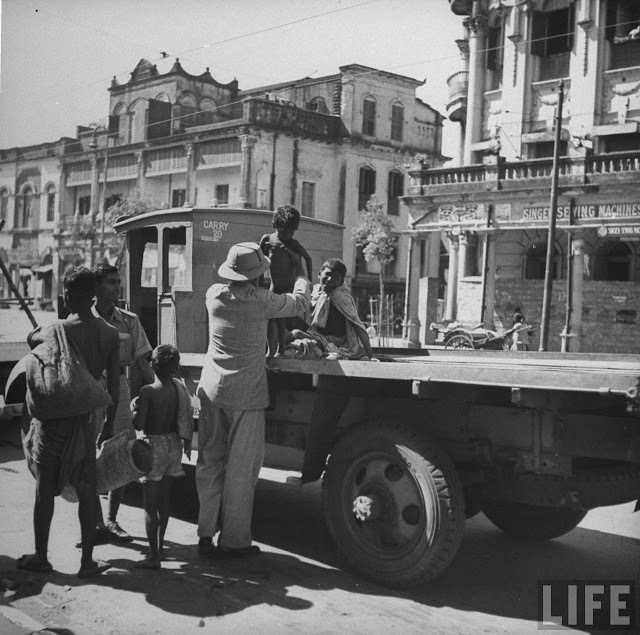 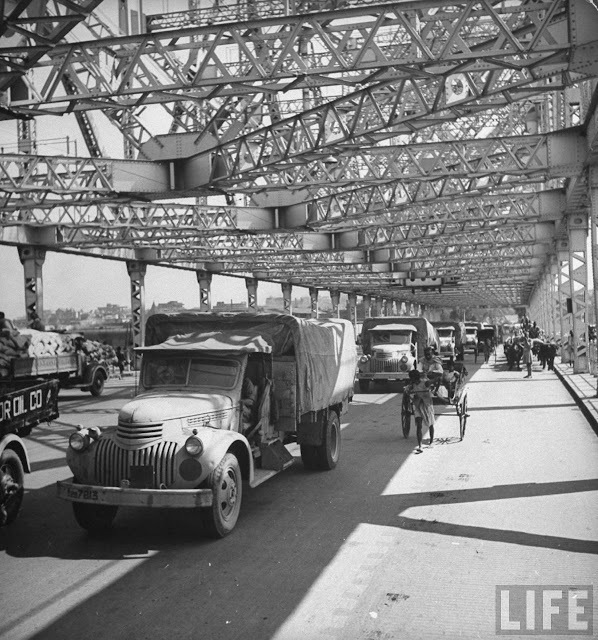 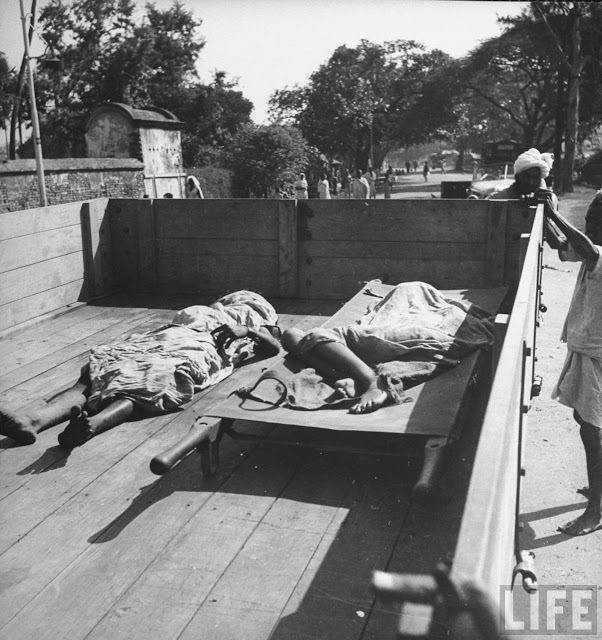 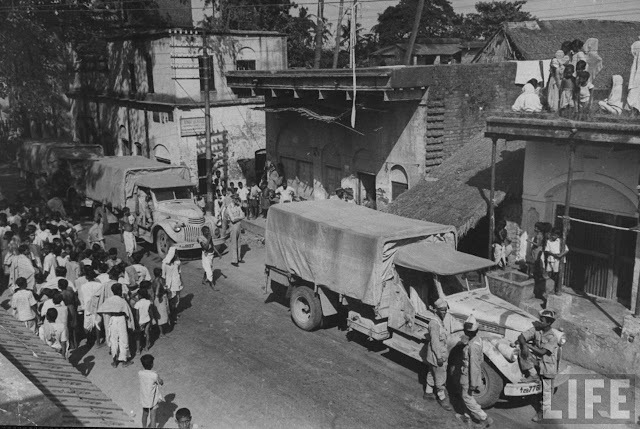 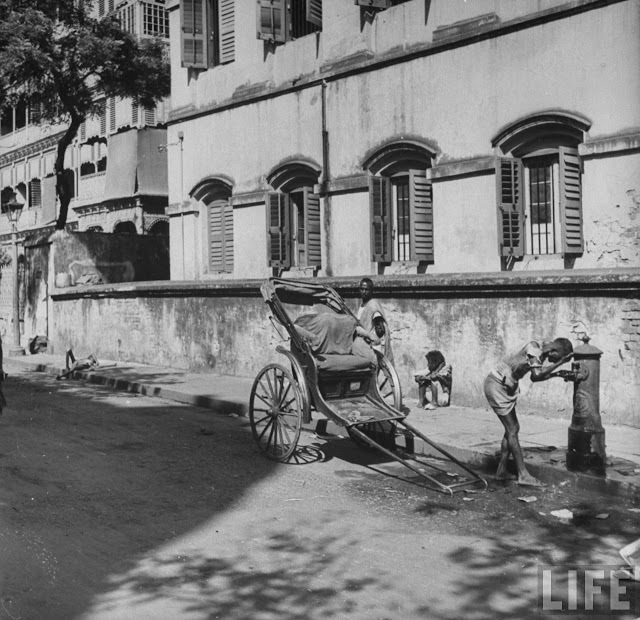 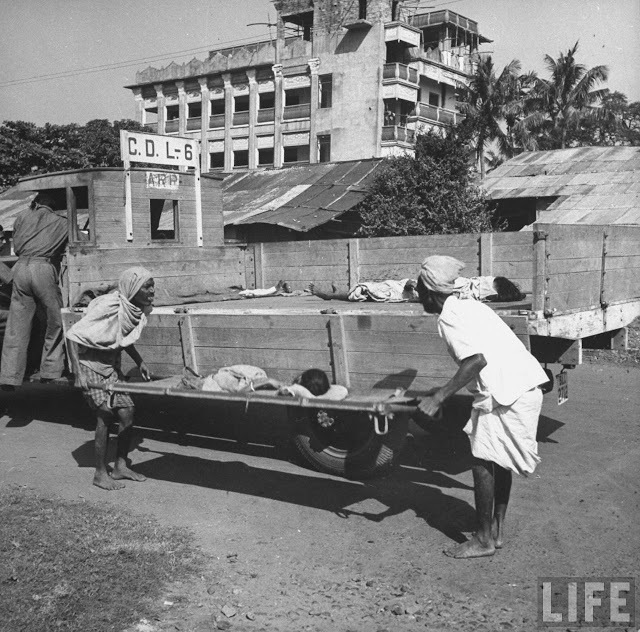 ARP truck sweepers disposing corpses and carrying them to one of Calcutta's burning ghats.